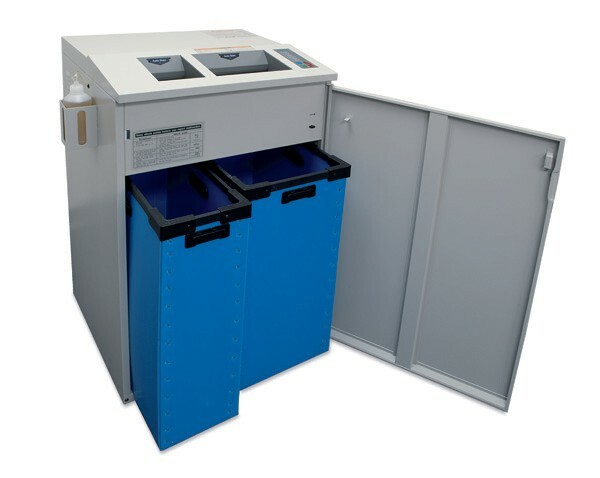 The SS-16D is a Heavy-Duty Level 6 / P-7 DOD Crosscut Paper and Auto-Oiling Optical Media Shredder. It has been evaluated by NSA and meets the requirements of NSA/CSS Specification 02-01 for High Security Crosscut Paper Shredders as well as NSA/CSS Specification 04-02 for Optical Media Destruction Devices. This model is a high security paper and CD shredder that is ideal for the destruction of top-secret and classified DOD and Government information stored on Paper and Optical devices, as well as credit cards. 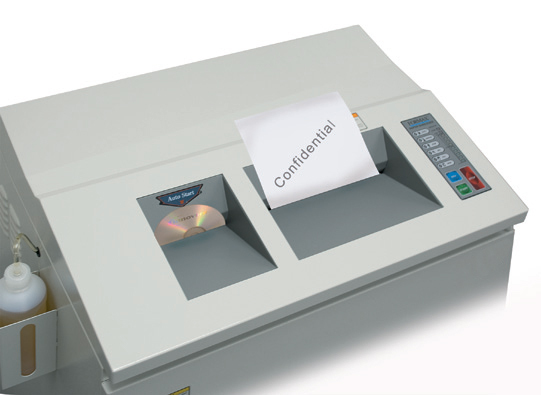 The SS-16D is the Highest Rated High Security Paper and CD Shredder listed on the NSA EPL. As an auto-oiling optical media shredder, it features an accessory that oils the cutting blades for optimal performance. The SS16D is equipped with Dual Feed Openings. The cutting system for Optical Media shreds up to 2000 CDs per hour and the cutting system for Paper up to 15 sheets per pass with a 1/32 x 3/16 (.8 x 4.8 mm) cut for "Top Secret" documents. The solid steel cutters are heat treated and individually ground for longevity and a powerful and efficient AC geared continuous duty motor with Heavy Duty Steel Gears makes for high performance and minimal noise. The All Metal Drive System uses no internal nylon or plastic gears as is common in lower quality shredders. Thermal Overload Protection and a Safety Circuit Breaker ensure safe operation. Also features Auto Start/Stop operation, Door Safety and Bag Full sensors, an Auto Reverse anti-jamming control and an LED Control Panel with load indicator. 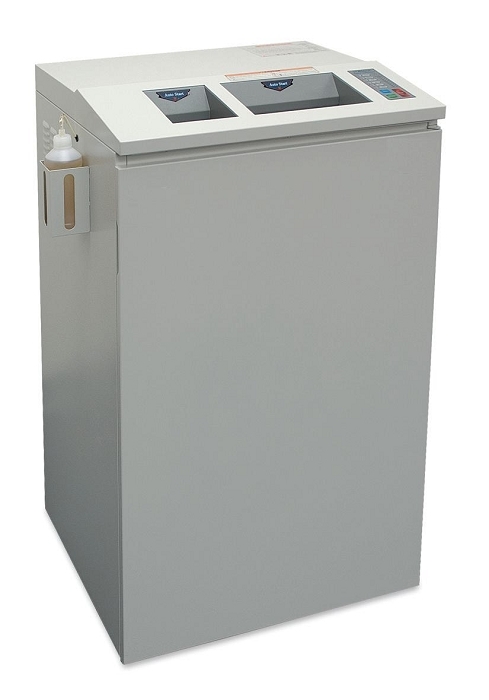 Housed in an All-Steel cabinet on casters and includes Lifetime Guaranteed Heavy Duty waste bins. Paper:1/32 x 3/16 ; Discs:1/16" x 5/32"